In times of digital change, companies face a great challenge: In addition to classic idea management and CIP, with which internal ideas for improvement are collected from employees and innovation management for the improvement and further development of existing products, they must enable the development of digital innovations in their innovation strategy. You need additional innovation methods such as open innovation and co-creation. In this article you will get to know them. In our free whitepaper set you learn how you can integrate customers as development partners. Customers are directly involved in the development process. Supported by tools such as the Innolytics® innovation management software, needs are discussed, ideas developed and concepts evaluated. The direct integration of customers into the development process ensures, for example, that apps get the right features, the functionality of customer portals is enthusiastic and digital services are accepted. Open Innovation goes one step further than co-creation. Concepts for digital business models and services are not only developed with customers but also with external experts, students and even competitors. Why even with competitors? In the digital era, the terms cooperation and competition have merged into a third term: Coopetition. Companies are competitors and cooperation partners at the same time. Microsoft and Apple compete for consumer favor in operating systems, while Microsoft develops products for the Apple operating system. Open innovation and co-creation means opening up a company’s innovation strategy in a targeted manner. In our consulting activities and through the implementation of our software, we have supported numerous companies in implementing open innovation and co-creation projects in recent years. A financial institution that maintains branches within large companies held an ideas competition for the banking of the future together with employees and customers. Employees in the branches actively addressed customers to the competition. Teams of employees of the branches and customers were formed. These teams learned how to develop and formulate ideas in several idea academies based on each other, conducted by InnoXperts. Afterwards, the ideas were collected, discussed and evaluated online for several weeks. The best ideas and concepts were presented at a closing event and the winners were selected by vote. Together with Messe München, Innolytics® GmbH operates the ISPO Open Innovation Platform, on which tens of thousands of athletes carry out open innovation and co-creation projects together with companies. For example, the sports buggy manufacturer Thule worked with users to find innovative applications for the use of Internet of Things technologies in prams. The result: Ideas and suggestions for innovative applications from the user’s point of view. Together with Innolytics® GmbH, the Vodafone Open Innovation Park was established. Companies from a wide variety of industries developed innovative ideas and approaches for the networked world in innovation workshops and online together with the telecommunications provider. Vodafone Germany brought well-founded technology knowledge to the program, the participating companies used cases from their business sectors. These three examples show the variety of co-creation and open innovation. It is not a matter of opening up a company’s innovation process in principle, but to selectively open up parts of it. Closed innovation (i.e. the closed development of innovations) and open innovation (opening of the innovation process) are not contradictory. Co-creation and open innovation are concepts to open a company’s innovation management specifically for external impulses. 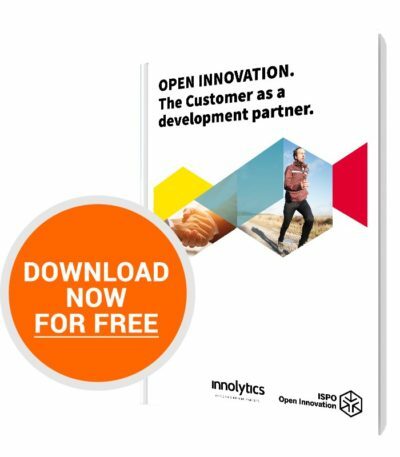 The free whitepaper “The customer as development partner“, which we developed together with Messe München, shows you how you can specifically open up your innovation process. You will learn about success factors and examples. 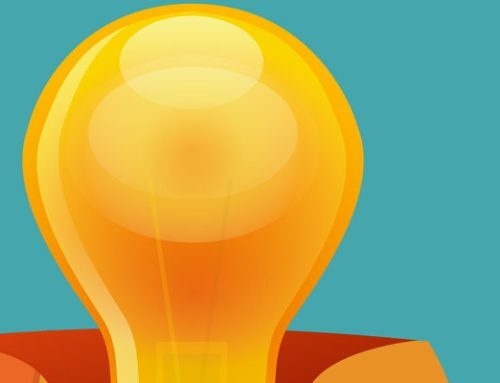 The following three tips will help you develop an innovation strategy that takes open innovation and co-creation into account. Define a precise framework for co-creation and open innovation: What kind of projects do you want to implement through these innovation methods? What kind of external impulses do you hope for? How exactly should the results from the open innovation process be incorporated into the development of your analog or digital products? The definition of a framework for action is important in the first step. This enables you to define the fields in which you want to continue to pursue closed innovation. Think open innovation and co-creation from the participants’ point of view. In our daily conversations we experience many managers who describe in detail the advantages for companies in their presentations, but forget that customers and outsiders voluntarily participate in open innovation programs. Consider: What are the advantages for customers of getting involved for you and your company? Don’t just think about prizes and money. This is also important, but more important is the so-called “intrinsic motivation”: users who actively participate in projects in their own interest are the most valuable for your company. Start small. Start to gain experience. Start an ideas competition with students, involve a selected group of customers, address external experts from your network personally. Start with small projects such as a prototype of your next app. Through small, manageable projects, terms such as co-creation and open innovation, which initially sound very abstract, begin to become concrete and tangible. Innolytics® GmbH supports companies in planning and managing projects and campaigns through innovation consulting and advice on digitization. The innovative software of Innolytics® GmbH forms the basis. The consulting and campaign management of Innolytics® GmbH ensures that companies can achieve maximum success in establishing open innovation processes: Innovations promoted by external impulses – through co-creation and open innovation.